Karen Scott Pointelle Open-Front Cardigan Just $8.99! HURRY! 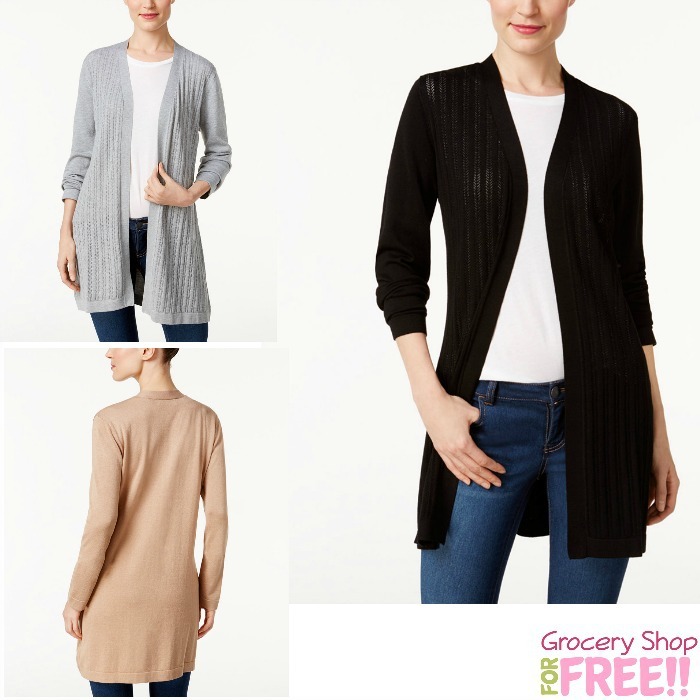 You are here: Home / Great Deals / Karen Scott Pointelle Open-Front Cardigan Just $8.99! HURRY! I love this sweater and this price is AWESOME! This sale is just for a few more hours today – so don’t wait! You can get this Karen Scott Pointelle Open-Front Cardigan for just $8.99 right now – down from $49.50!! Just use code: RED at checkout to get 25% off the sale price of $11.99 which will drop it down to $8.99! Be sure to choose FREE in-store pickup so you don’t have to pay shipping!